What is tinnitus you ask? Well…tinnitus, also referred to as “ringing in the ears”, affects about 10% to 15% of the population and can present itself with different perceived sounds. Some sounds of tinnitus are described as tonal and pulsing. In almost all cases, only the person who has tinnitus can hear it. Tinnitus sounds may come and go, or it may be present all the time. In some cases, the sound of tinnitus can be so loud it can interfere with your ability to concentrate or hear actual sound. Tinnitus can be classified into these main types. Subjective tinnitus is the most common and can be caused by ear problems in the outer, middle, or inner ear. It can also be caused by problems with the auditory nerves or auditory pathways. Objective tinnitus can be heard by your doctor while performing an examination. This is rare and typically caused by a blood vessel problem, middle ear bone condition, or muscle contractions. Somatic tinnitus is a condition related to the sensory system in the body. It’s related to physical movement and touch. It can be triggered by muscle spasms in the ear or neck or anything that causes the neck to twist. Sensory tinnitus is typically related to an impaired auditory system. Most people who experience tinnitus have sensory tinnitus. Sensory tinnitus is a form of subjective tinnitus. Tonal tinnitus is the perception of overlapping sounds at specific frequencies. The perceived volume of this type of tinnitus can fluctuate. Tonal tinnitus is associated with subjective tinnitus. Musical tinnitus is very rare and has been described as the perception of music or singing, sometimes the same tune on a loop, or sometimes the opera. Musical tinnitus is also known as Musical Ear Syndrome. Due to the strain that tinnitus can put on the brain, there are several health-related issues that can arise. Treating these tinnitus conditions will help you to feel better. At Happy Ears Hearing Center, our audiologists understand how tinnitus can negatively affect someone’s quality of life. We love helping individuals who are suffering from tinnitus receive treatment that works to regain their happiness. Everyone experiences symptoms of tinnitus at some point or another, however, some cases of tinnitus can be quite severe and affect an individual’s ability to function in their every-day life. 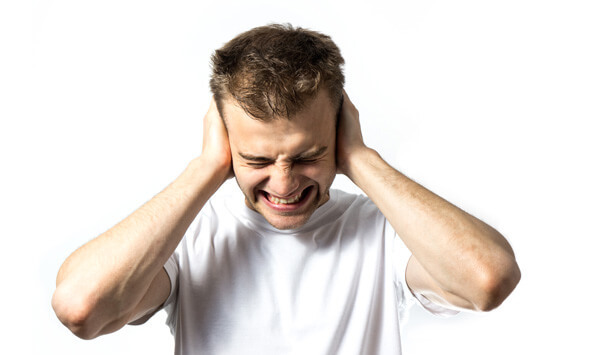 There are many different causes of tinnitus. If you are experiencing tinnitus, we recommend scheduling an appointment right away with one of our audiologists for a thorough hearing evaluation to determine the cause of your tinnitus and find a solution.